Learn to Sail is open to everyone and is an ideal way to learn the basic skills of sailing. 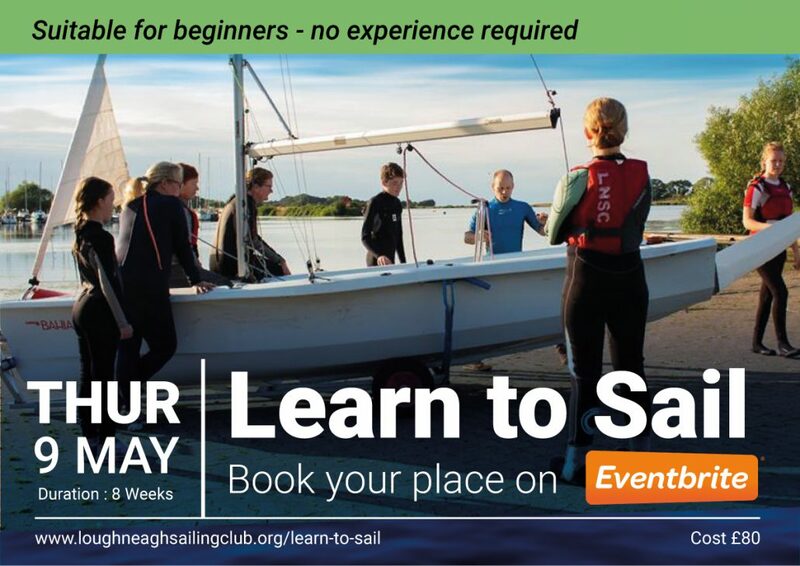 Learn to Sail at Lough Neagh Sailing Club. Taking place in Kinnego Marina, Oxford Island, the Learn to Sail course is an 8-Week introduction to sailing for beginners (suitable for ages 8 upwards), perfect for getting out and having fun on the water. The course will be delivered by qualified instructors and has been created for beginners looking to gain an introduction to the basics of sailing and will give you the very best foundations for those with no experience. Club Membership is not a requirement. Starts Thursday 9th May 6.00pm – for 8 weeks every Thursday.